This course is designed for the individual who possesses a basic knowledge of parachutes and wishes to obtain a FAA Senior Parachute Rigger license. 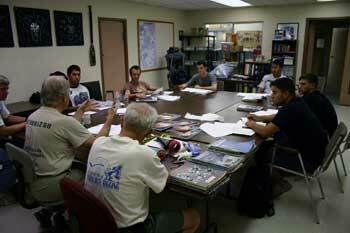 The course provides the knowledge and skills needed to pass the FAA exams. In addition, the practical training portion lays the foundation for advanced skills needed to work in a professional parachute loft environment. The Academy has a wide selection of modern and vintage parachute systems in addition to the most complete inventory of sewing machines and tools available today. The FAA Senior Rigger Certificate is a license authorization to pack, maintain and make minor repairs to FAA Approved Emergency parachute assemblies. It is issued upon demonstration of significant knowledge and skills regarding approved emergency parachute systems in common use. Experience has shown us that the short duration of our training service is adequate to orient and focus qualified candidates on the specific skills and subjects required during the FAA testing procedures and during the practice of parachute rigging as common to the skydiving industry. 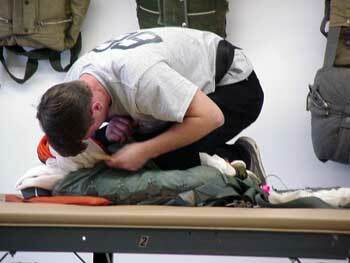 General working knowledge of parachutes is considered a prerequisite to the scope of our training curriculum. 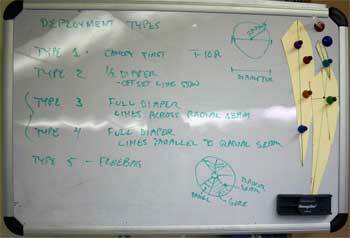 A candidate without hands-on background in parachuting is likely to find this instruction difficult and frustrating. They will learn many things about the rigging trade and will practice many new skills. However, they may complete the course but fall short of the minimum requirements for the FAA Senior Rigger Certificate. USAPR Graduates have stated and will all agree, "The more you know when you come here, the more you will gain from this course." USAPR, therefore, recommends that candidates strive to acquire packing experience with approved emergency parachutes under the supervision of an FAA certificated rigger before arriving at our facility. It has come to our attention that it is becoming increasingly difficult for candidates to find riggers who have time to supervise their reserve packs. In particular, this the case for our foreign candidates who do not have a FAA certificated rigger available in their country. USAPR has introduced a program where candidates may opt for "Supervised Packs" during their training at USAPR. This requires two Saturdays of supervised packing (Max 20 packs). The experienced skydiver (500+ jumps) or foreign rigger may require just one day, others with little skydiving/packing experience will require two days. A minimum of 100 jumps or a current military rigger. 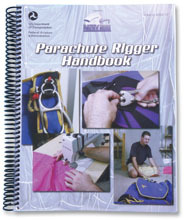 A minimum of 15 reserve back type parachute packs under the supervision of an FAA Senior or Master Rigger with a back rating. Foreign Students with logged reserve packs must be supervised and signed by an FAA Senior or Master Rigger with the appropriate rating to be counted towards the 20 minimum packs required by the FAA. An original letter with the supervising FAA Riggers address, certificate number and seal symbol must be included in the letter.